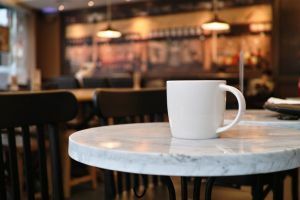 If you are like many others and find yourself enjoying your morning visit to your favorite Coffee Shop, you might also find yourself wondering what it would be like to own your own Coffee Shop or Coffee House. You are not alone. Many find themselves admiring the decor, the camaraderie and the lure of their favorite ‘Third Place*’ and wondering what it takes to start such an endeavor. Having owned several in the past, from a Coffee Shop (seats less then 15) to a Coffee House (seats 20 -?) to a full blown Coffee House & Cafe (offering delicious food for most meal periods as well as a full offering of beverages), I have been asked many times for my insights. So in the interest of helping those seeking to get started and/or to expand their offerings, I have decided to offer a series of Blog posts to help. At the core of any Coffee Establishment is a passion for not only offering a great cup of coffee or espresso, but rather a great overall experience. From the approach to the location, to the decor, to the layout, to the menu offering, to the equipment and last and most important the quality of the offerings and their preparation. Coffee Establishments have been around for a long time. Ever since the discovery of the coffee bean by a young goat header named Kaldi to Coffee Houses where our Constitution was written and debated, to the present day offerings of large corporate chains and the small drive thru Coffee Stands. Each has a unique story and function. Coffee Shop – Seating less then 15 people. This type of establishment is usually smaller and simpler in it’s offerings. Common in larger cities and found in some pretty unique locations, these unique shops are laid out to offer ease and efficient operation and in many cases a great product and experience for those in a hurry to get their ‘fix’ and to get back to work. Coffee House – Seating for 20 and more. This type is is usually larger and known for having couches, separate rooms, live music and ‘Open Mic’ nights and ‘Poetry Slams’. These began to pop up after World War 2 and reached a heyday in the 60’s and in many instances never lost their ‘mojo’. Common Grounds Coffee House in Lexington Kentucky is a great example. Coffee House & Cafe – Seating for 20 or more and offering a wide offering of delicious food as well as a favored offering of all types of beverages. Found to be more successful in more suburban and rural areas, these find their strength in appealing to and educating more of their patrons on not only great food, but also the nuances of great Espresso and Coffee.